The Prince of Wales and The Duchess of Cornwall visited Hull today to help mark the city's tenure as the UK City of Culture, known as Hull 2017. 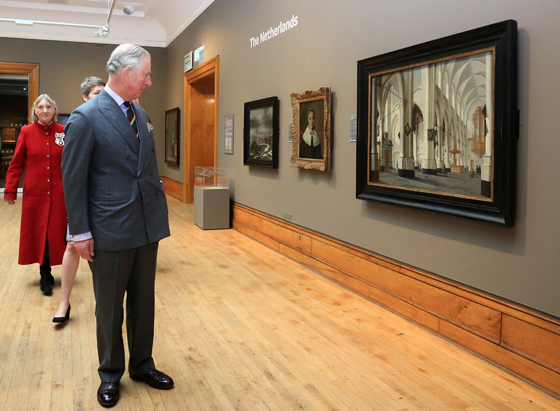 Their Royal Highnesses began the day visiting Ferens Art Gallery together, before carrying out engagements separately in the city. The Prince and The Duchess were greeted by many well-wishers on arrival in Hull, and Their Royal Highnesses stopped to talk to residents who had gathered to meet them before beginning their tour of the refurbished gallery. During their tour of the gallery, the Royal couple saw a number of artworks, starting with a rare 14th Century panel painting by Pietro Lorenzetti, which is one of the highlights of the opening programmes of Hull 2017. Ferens Art Gallery reopened three weeks ago after a £5.2 million refurbishment. While in the gallery, Their Royal Highnesses met some of the central figures behind Hull 2017, including Chairwoman, Rosie Millard, and Director, Martin Green. More than 50,000 people have visited Ferens Art Gallery since it reopened on January 13th and the Turner Prize will be presented at the gallery at the end of the year. The Prince of Wales then travelled to Holy Trinity Church to view their ongoing regeneration project. His Royal Highness was greeted by members of the clergy before touring the church and hearing about the refurbishment. Founded in 1285, Holy Trinity is England’s largest parish church and is contributing to Hull’s year as UK City of Culture. It will soon be re-dedicated as Hull Minster. During the visit, The Prince met church staff, volunteers and members of the congregation and the local community, including four-year-old Esme who presented His Royal Highness with a prayer book made by children who attend group activities at Holy Trinity. The final engagement of the day for The Prince of Wales was a visit to Holy Apostles Church, which is being used as a performance space throughout Hull’s year as the UK City of Culture. The Prince viewed rehearsals for the play ‘The Hypocrite’, a co-production between the Royal Shakespeare Company, Hull Truck Theatre and Hull 2017. The play is sold out ahead of its opening in Hull in March and will later transfer to the Royal Shakespeare Company's Swan Theatre in Stratford-upon-Avon. After the rehearsal, The Prince met those involved with the production including cast members, Mark Addy and Caroline Quentin. The Duchess of Cornwall meanwhile visited Emmaus’ Hull and East Riding community. The charity Emmaus, of which The Duchess of Patron, supports formerly homeless people by giving them a place to live and meaningful work, helping to boost self-esteem. Her Royal Highness met ‘companions’, as residents who live in the community are known, before touring the shop and signing the visitors’ book. The Duchess finished her visit to Hull at The Deep tourist attraction where she celebrated the charity First Story's partnership with Hull UK City of Culture 2017 and the launch of its writing residencies in five Hull secondary schools. “It’s just so wonderful to see all of you taking such an interest in writing stories. "It’s a wonderful way of expressing yourself and such a good way of giving other people pleasure. Keep on writing, don’t give up!" - HRH The Duchess of Cornwall, speaking to children who today took part in a creative writing workshop @thedeephull. The Duchess met the children as part of the Royal visit to Hull. The Duchess, Patron of First Story, met children taking part in a creative writing workshop. Her Royal Highness said during the visit: “It’s just so wonderful to see all of you taking such an interest in writing stories. "It’s a wonderful way of expressing yourself and such a good way of giving other people pleasure. Keep on writing, don’t give up!" 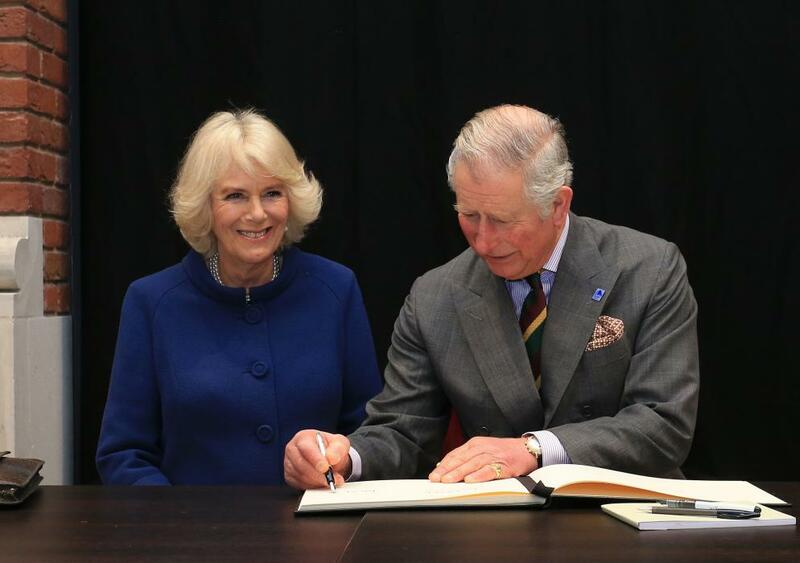 During the visit, The Duchess also launched National Writing Day, which will take place on 21st June to promote the pleasure and power of writing.